YAY!! I was just playing Diablo and thought I would check to see if you guys had a new episode out.. and here it is!! YAY!! You just made my day, downloading now! 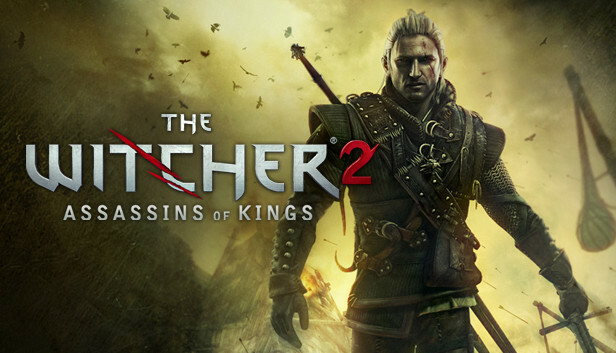 Hey hey, just wanted to say a few things about the Witcher 2. I’m glad you gals dig it. I’m a big fan of the game and I’m always glad when others enjoy it as I have. Yes the game is based off of a book series. The author is Polish and wrote the books around the time of the fall of the Soviet Union. Because the people of Poland didn’t really have much fantasy literature during Soviet rule the series gained a large cult following. Thats why the developer of the game is Polish. I never played the first one but found that the second did a good job of filling in the back story. One piece of advice, the journal is your friend. Every time you encounter a new character or monster a new entry will be added to your journal and you can get a broader picture of the world and its denizens. Also no spoilers here but at the end of the Floatsam area of the game there is a major story fork which will take you to two completely different places to finish out the game. 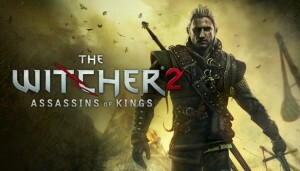 If you really enjoyed the game I recommend going back and taking the other path. They’re both worth it. Again no spoilers but I would recommend choosing Iorveth for your first time. It was my favorite path. Love the show. Take care. Thanks for giving a good , clean, friendly game reviews. I’m am fan of frog pants and gave u gals a try. I play only a few games(aka:cheap skate) so I take your reviews seriously . Wonderful Show. Thank you for letting us create a few bumpers for y’all. Hope to have you back on our show.